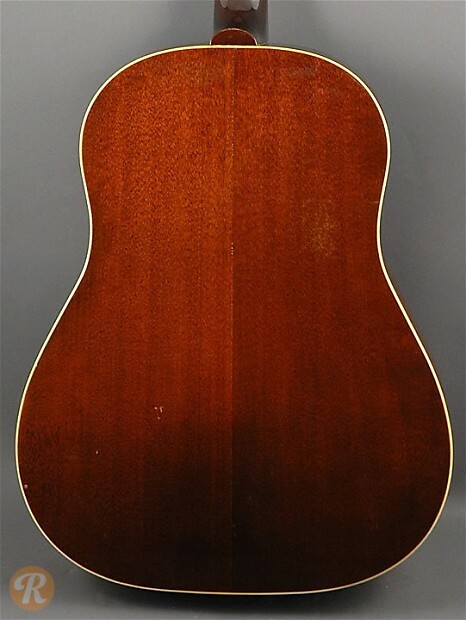 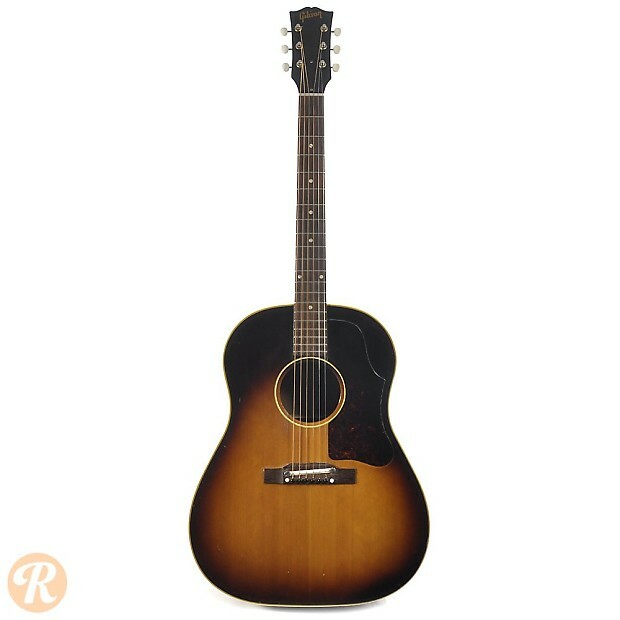 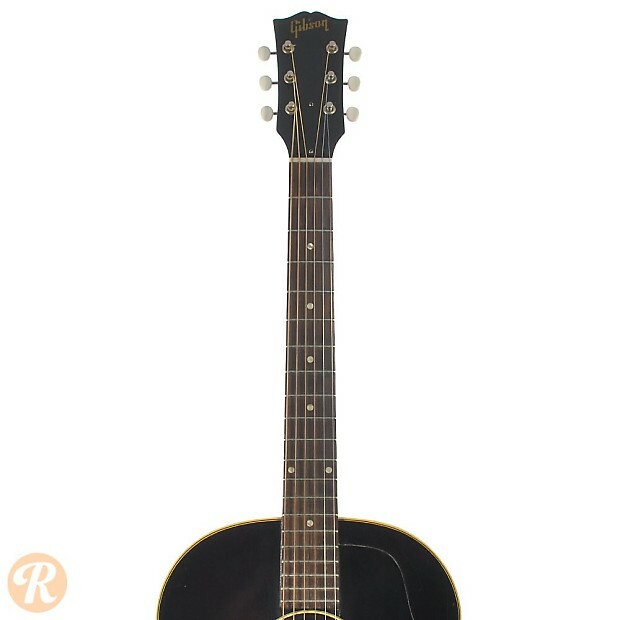 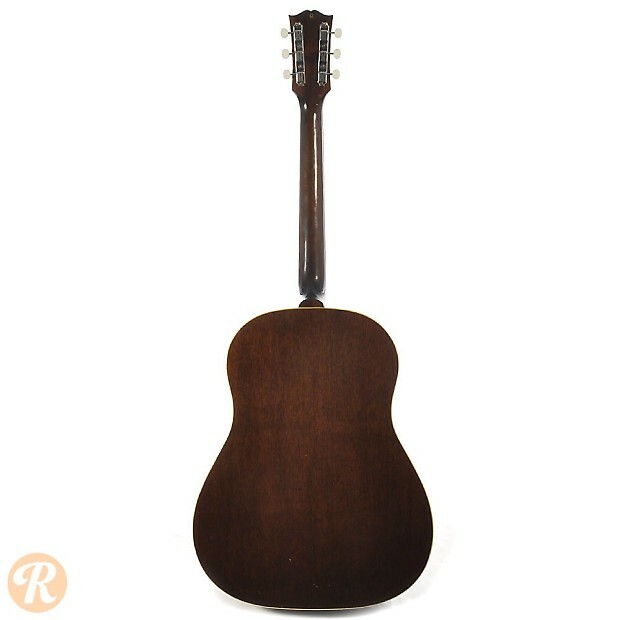 Introduced in 1942 as a replacement for the J-35, the J-45 has since become one of Gibson's most popular acoustic flattops. 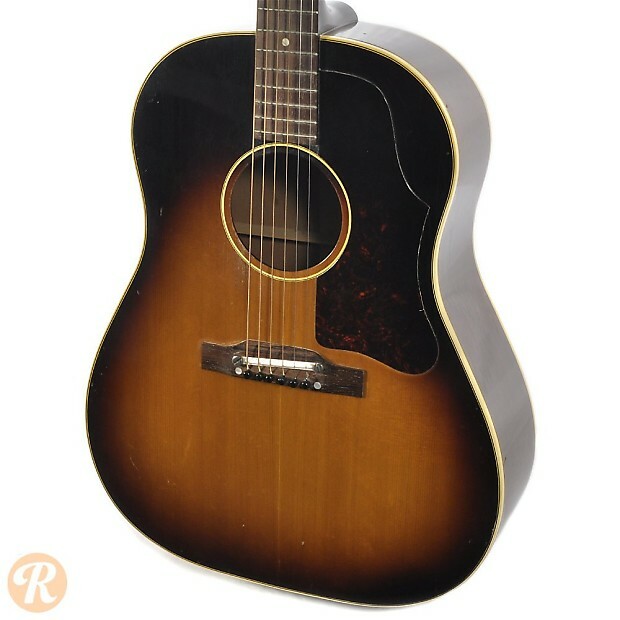 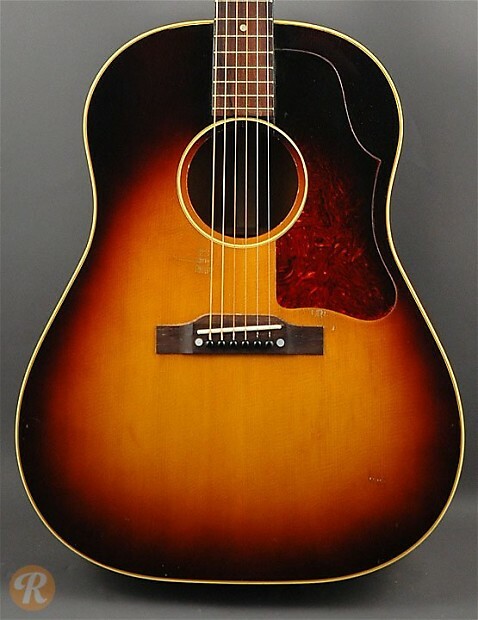 Earning a reputation as a "workhorse" guitar, the J-45 was embraced for its no-frills attitude and big, strong tone. 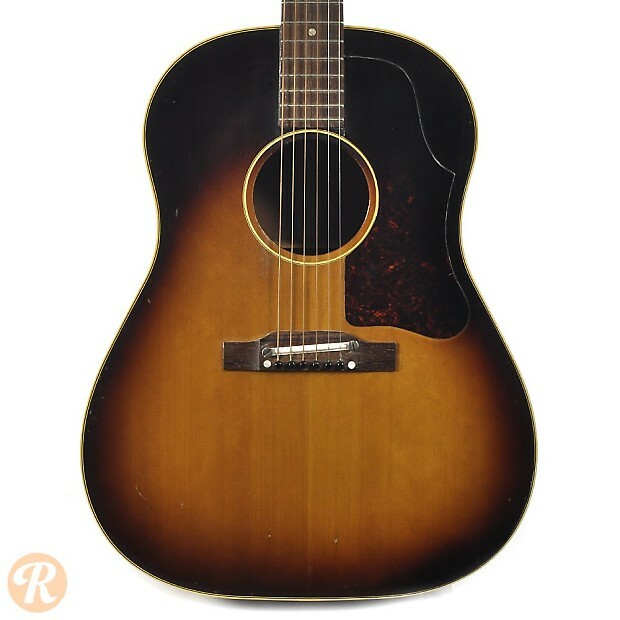 Several variations of the J-45 have been released over the years including its natural-finish counterpart, the J-50. 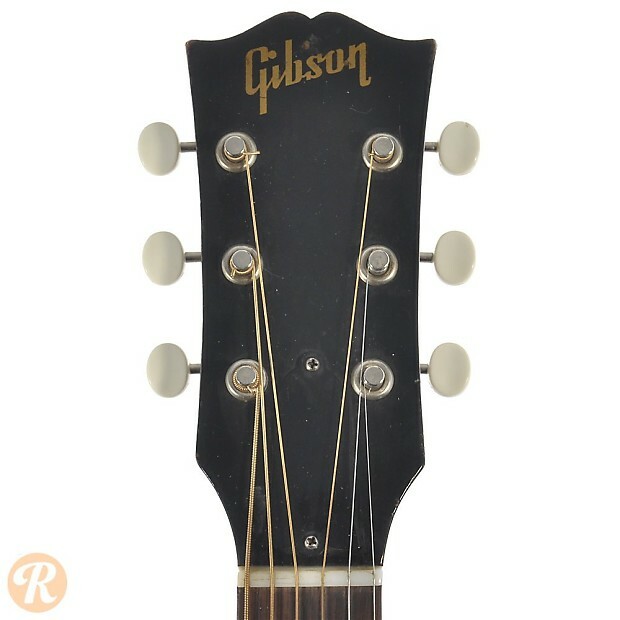 Unique to this Era: Gibson now offers an optional adjustable bridge. 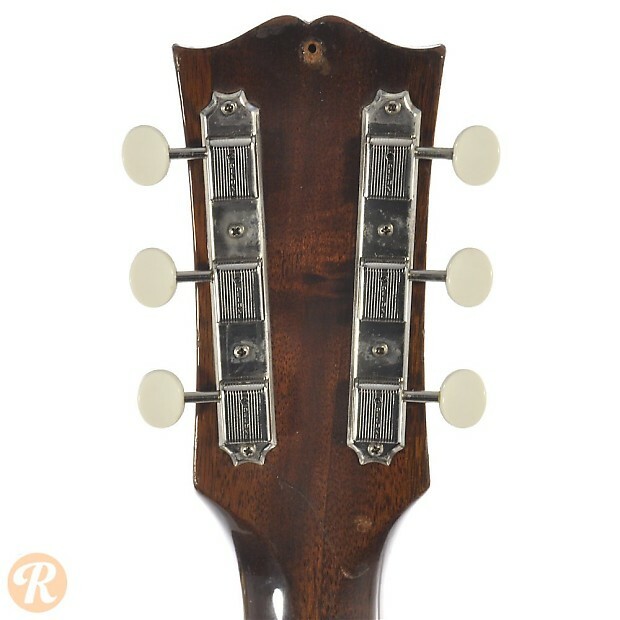 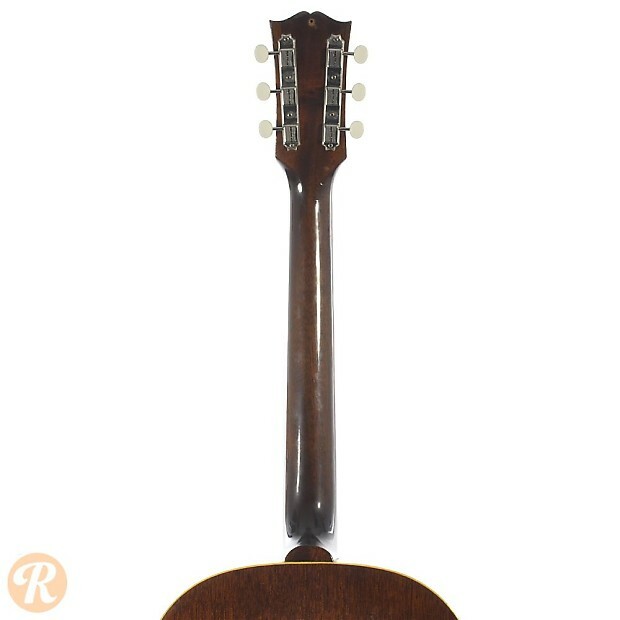 J-45s with the adjustable bridge are less desirable to collectors. 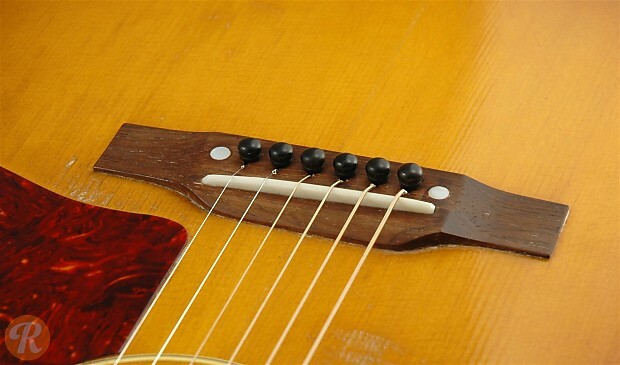 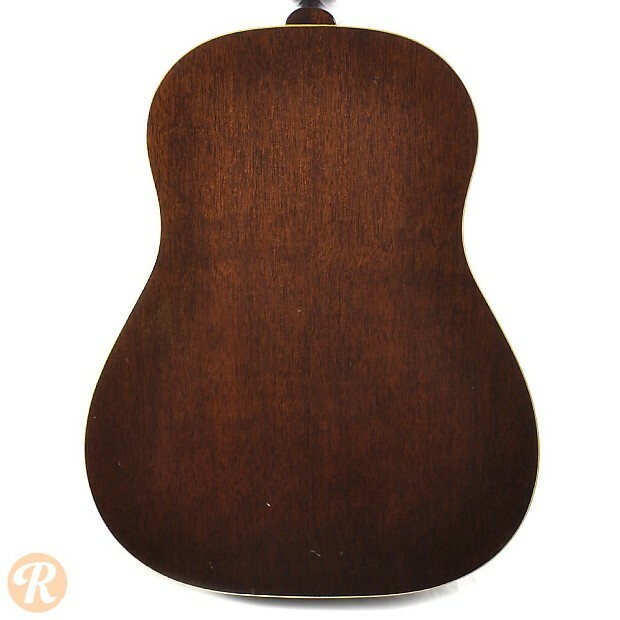 Also, starting in 1955, the pickguard is a longer shape.